MAKE YOUR PICKS in the 2016 Chippens Tournament Challenge! The legendary Chippens Tournament Challenge is back for its 16th consecutive season! Once again, entry is FREE and there are prizes for the winners. The rules are the same: one entry per person, and you must be old enough to make your own picks to play. This year's mesmerizing Grand Prize T-Shirt is the result of many, many months of hard work and dedication from the Chippens Design Team. 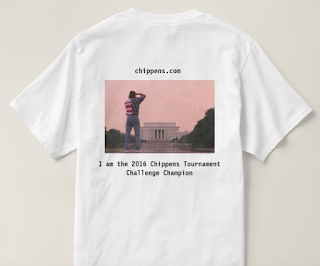 Of course, the majesty of the Chippens Tournament cannot be put into words or pictures; it is beyond art in all its forms. Still, the work must be done, and what we want most of all is a shirt that commands onlookers to say, "My God! Look at that!" 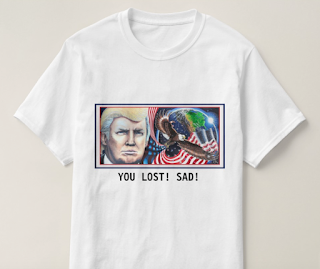 We are confident that when this year's Champion proudly wears the Grand Prize T-Shirt to work, the mall, weddings, and funerals, s/he is sure to be the center of attention.